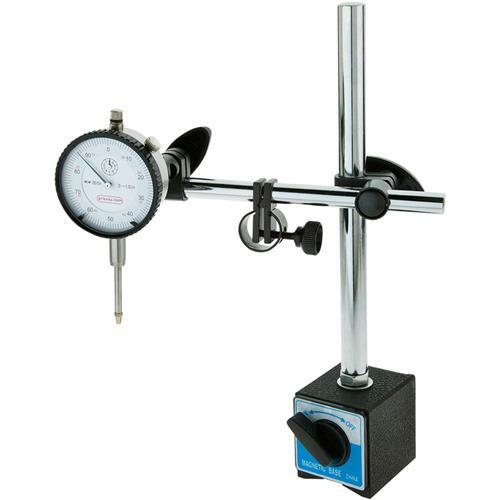 Precision measurements and set-ups have never been so easy. Magnetic base engages with just the turn of a switch and allows pinpoint adjustment. The dial indicator features 0-1" travel and has a resolution of 0.001". 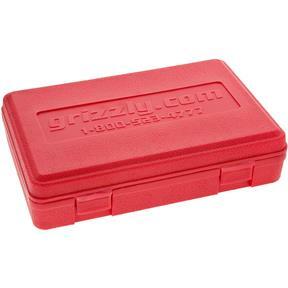 This fine set includes a molded case for protection and convenience. 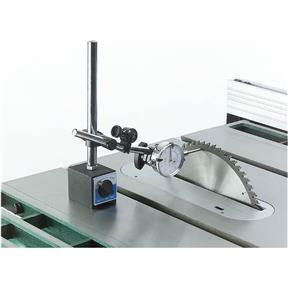 I bought this indicator for wood working machine setup checking (table saw, radial arm saw, jointer, lathe, drill press). It has met my needs so far. I bought this a month ago and put to use setting up jointer tables, plus table saw extensions. Its inexpensive and works great. Highly recommended! I bought this to help check run out on my Grizzly Drill press. It performed exactly as I expected. It took me a bit to figure out how to set it up the way I needed it, but that was me not the Dial Indicator. I've been using this for a couple of weeks, and it is perfect for a beginner like me. My finished products are much improved with this measuring ability! Very good product for the money. The dial is VERY sensitive when trying to zero it out. Other than that, Im very satisfied with the Base/Dial Indicator Combo. I was searching for a magnetic base when I found this kit. It was a good deal, as well as a quality tool. Havent used yet but appears to be of good quality. 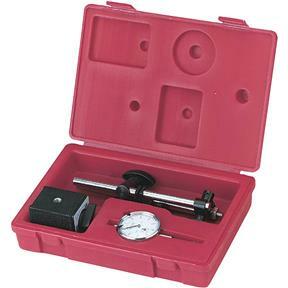 The Dial Indiator was a good value.It wiorked well on taking measurements on the 4 cylinder 1957 Willys Jeep engine. I bought these while I was restoring a Craftsman Drill Press. 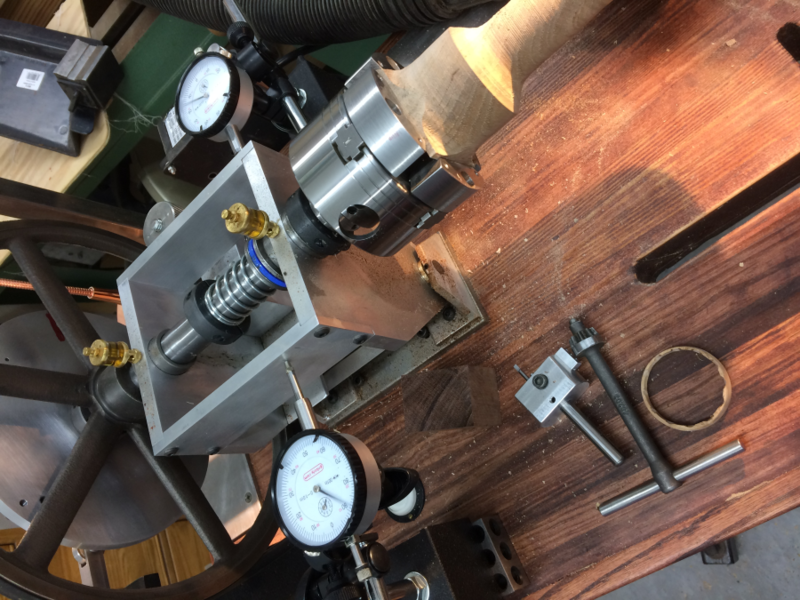 I used it to determine the Drill Press Spindle runout. Yeah, I could see it with my glasses off, thats how bad it was. This little tool saved me time and trouble in the restoration process. LOVE IT !!! I knew up front that this was not the finest indicator, but it is great value and is more than accurate enough for its intended use. The spring/screw adjustment is a bit sensitive and requires great care in use. I found that it is easier to tighten it right up and ignore it. This is a great value for the occasional user like myself. Haven't had it long so I can't speak to its longevity and durability. I was going to use this in the setup of my Grizzly G0715P table saw. However, I never figured up how to configure the tool for me to use it for this purpose. Consequently, I went back to the Grizzly home page and rewatched them demonstrating checking the blade and miter gauge slot. I ended up using a combination square, like the Grizzly employee demonstrated. This was a waste of money for me, however, the look, feel, and adjustment capabilities would very likely make this a fine tool for someone with more know how than me. I used it to align the blade on my radial arm saw. this enabled me to finely get it perfect. This product has performed well and has been useful in my setup of metal lathe and table saw. Not the best one out there, but very good for the price. It is a vey nice tool for measuring. Works well with my table saw. Looking forward to using it for other purposes. Bought this for my 6040 CNC mill and it works as it should. Purchased this dial indicator with base about a month ago, does an excellent job at a great price. wow what a great price for a reasonably accurate mag base indicator use it a lot for quick setups. and if I did break it hell it's only 20 bucks! I bought this a few weeks ago, but haven't had a chance to use it yet. I showed it to a friend of mine and he was amazed at how heavy it was and how strong the magnet is!! He was also amazed that it came with the gauge. I know it will come in handy when I need to use it. I bought this awhile ago and it works well. I've ground a longer rod to hold the indicator so I can measure the accuracy of my larger items. I bought this to check my table saw and set my jointer blades, works great it does what I need it to do and the price was right. Shocked by how inexpensive this was. Thought about rigging something up myself but given the price, I just snapped it up and it is a welcome addition to my shop. Planning many uses as it appears to be a quality product. I haven't had a chance to use it yet but it looks like it will be very easy to use. lots of adjustment and a lot of travel with the indicator. I bought these for a specific purpose they will work for that ok but the mag bases were not flat they rocked when touched. I did recommend these to a friend he seems to like his. I was a toolmaker for 40 years I do have lots better quality ones in my tool box. I cut them off to fit my operation better. I don't like the thumb screw to hold the dial, otherwise its is good. ridigity is not as good as it could be. it is accurate but it is easily moved by the test object without detecting correct movement. Excellent indicator and stand. Easy to set up and use. Good for the price, great for students or hobbyists. THIS IS A GRATE PRODUCT , AT A GRATE PRICE . IT WORKS GRATE.